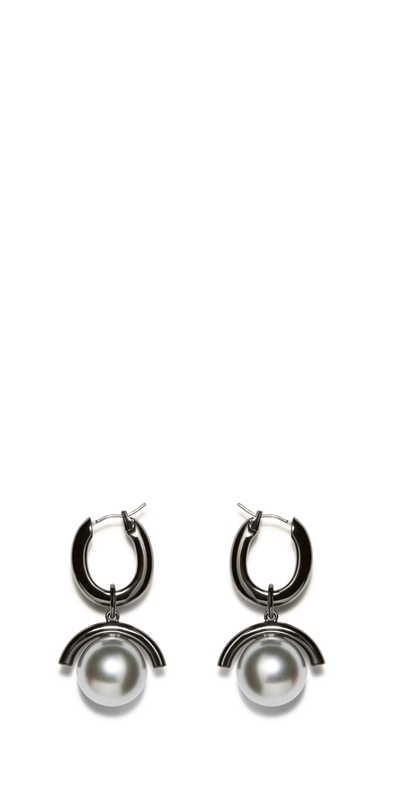 These hoop earrings feature a metal arc and pearl pendant. Secured with a post and clasp fastening. Hardware: Polished gunmetal with Glass pearl.